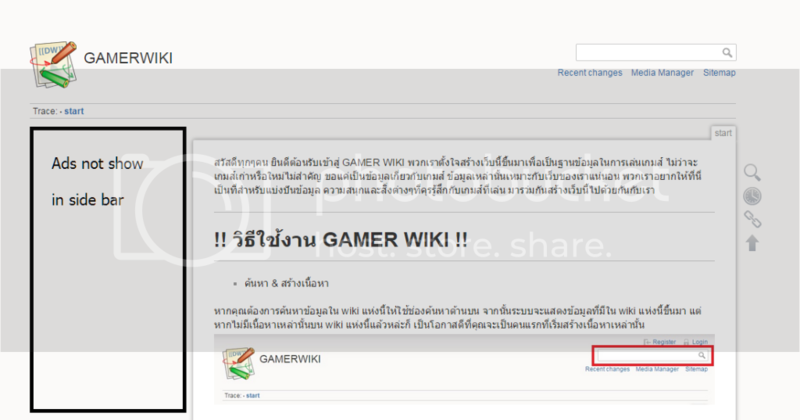 Can I add Adsense into dokuwiki template ? Subject: Can I add Adsense into dokuwiki template ? Hi everyone, I want to add Adsense into my wiki. 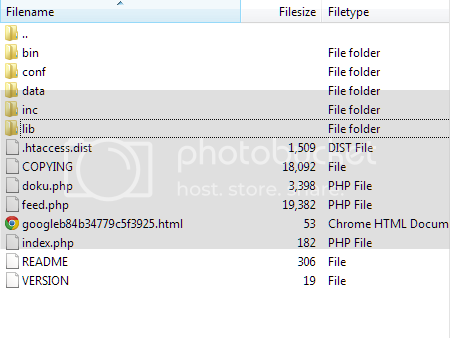 I install googleads plugin but I don't know Where should i add the ads google code in my template. thank a lot for your waste time to read or reply me. You need to create a sidebar page in the topmost Dokuwiki directory by opening and saving: ?id=sidebar. You will have to save some text in it. Is this "topmost Dokuwiki directory" ? and if it is, now I create filename : sidebar.php in that directory. is it correct ? Put some sidebar items into it. The the sidebar footer will also appear. Thank you Torpido and turnermm. This problem happen because I'm stupid. I just insert <html> and </html> into my sidebar page as you suggest it's look like work fine. Now sidebar has show, but Ads is disappear. I've just made a try with my google's banner and it works fine! I've put my google's code after my Dokuwiki's code, in the sidebar.txt. The only thing that I want to suggest you (if you want to put your ad in the sidebar) is to use a banner with width not greater than 160 px (for example 160x600 is a good choice). I want point out that my solution doesn't provide the use of googleads plugin. Simply allow html in your DW and than past the google code, between <HTML> tag, where you want to put your ads. I've never used that plugin but, reading its section https://www.dokuwiki.org/plugin:googleads#About, it seems to me that there some configuration that you need to set up. This post was edited 3 times, last on 2015-02-13, 12:59 by Torpedo. Please don't advise people to use this without telling them that it opens a *security issue*! Oh, sorry! I beg your pardon! You might check this out, and see. 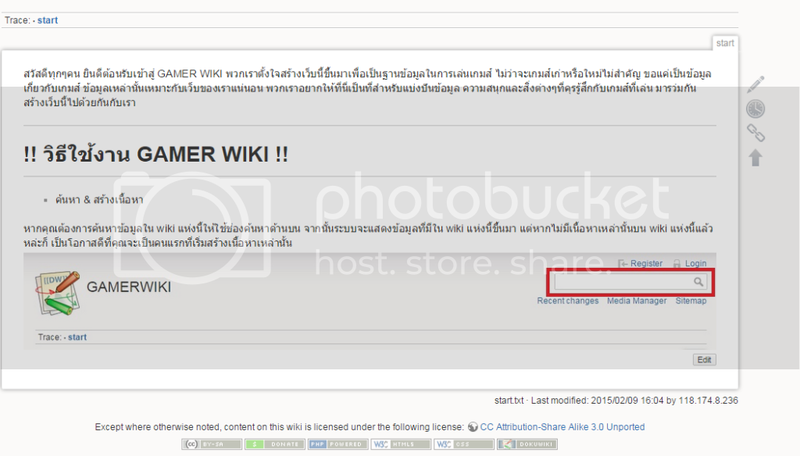 It use the html hooks instead of hacking the dokuwiki core.